Earn up to 211 Reward Points. 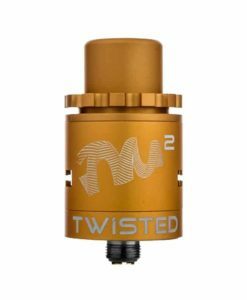 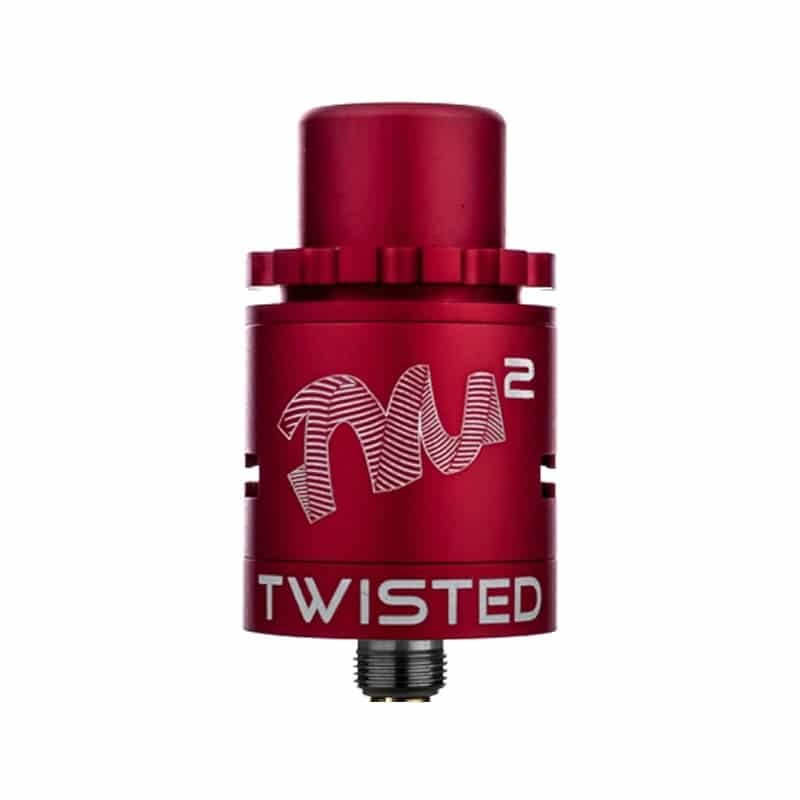 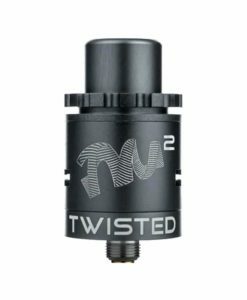 The Twisted Messes TM² Lite RDA now features the same innovative design as the TM² RDA but with a anodized aluminum construction which is both lightweight and beautiful. Following the great success of the original Twisted Messes RDA, and partnered with the famous JayBo, they have now introduced the Twisted Messes Squared. The original Twisted messes featured massive, intricate builds, earning the name, Twisted Messes! 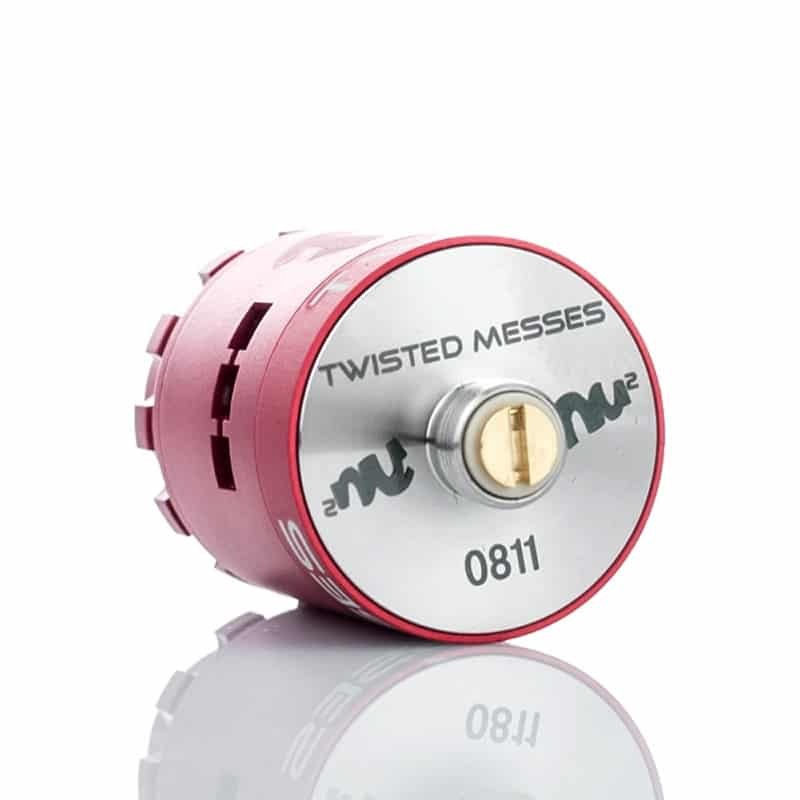 The Twisted Messes Squared improves upon this design. 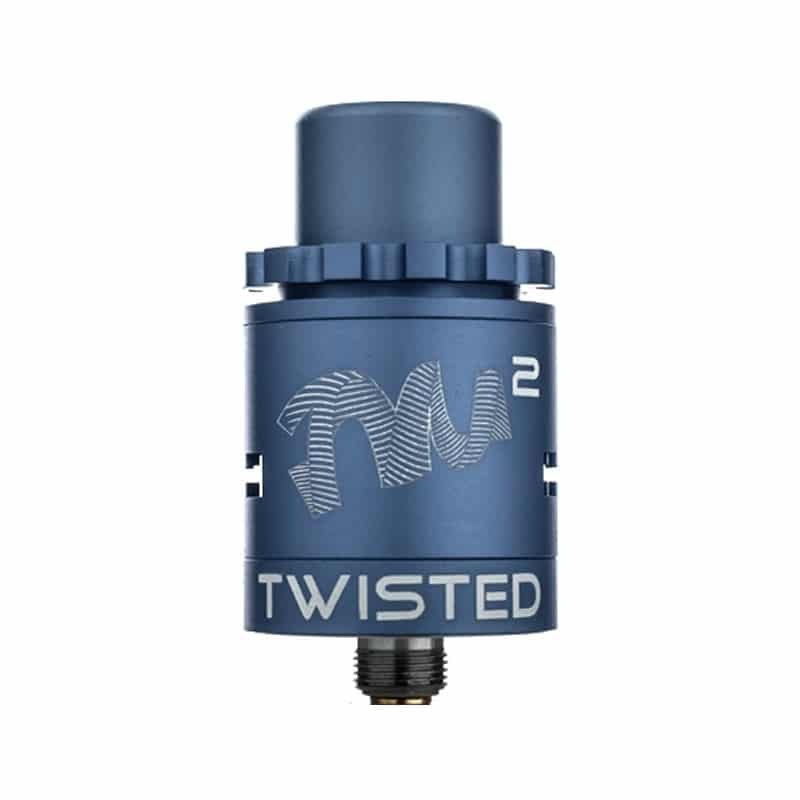 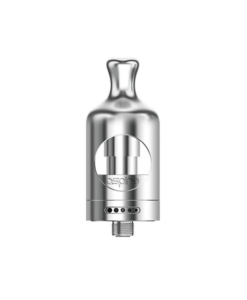 This RDA features four large 2.8mm post holes and square posts for ease of use. 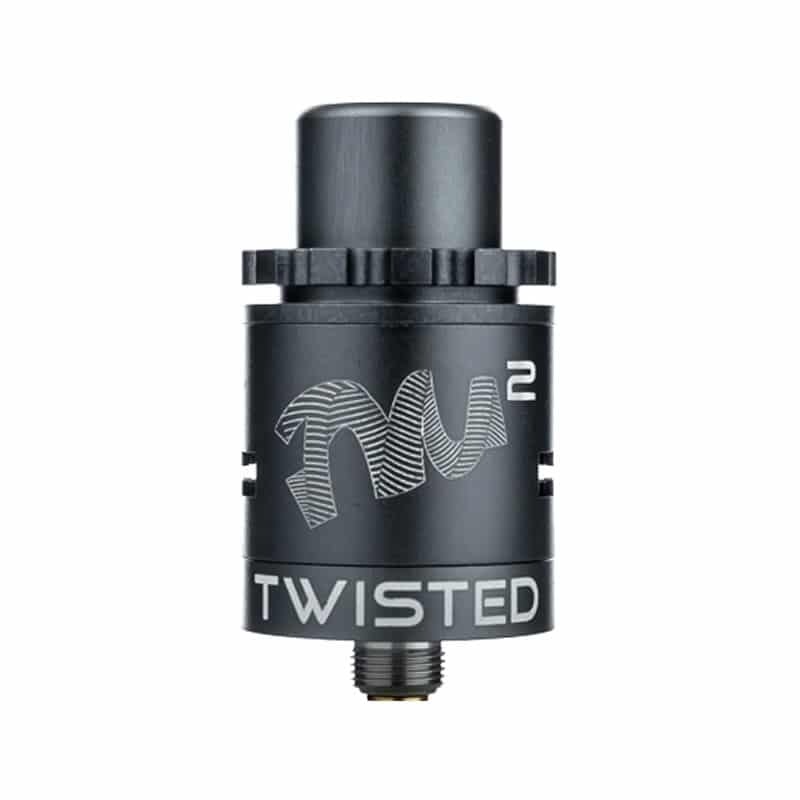 It is almost close to the velocity styled build deck! 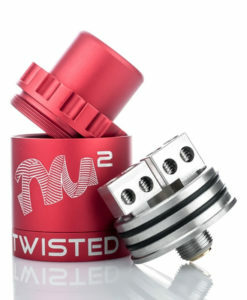 A sleek, clean design, followed by ease of use and square adjustable airflow, you can not go wrong. 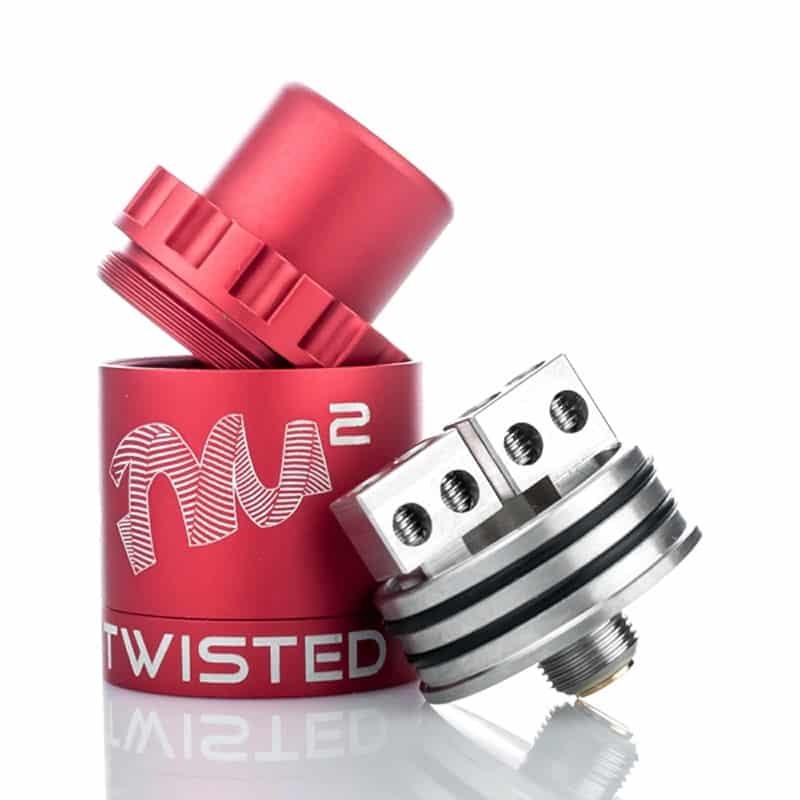 This RDA is easy to build on even with new users due to the design of their deck. 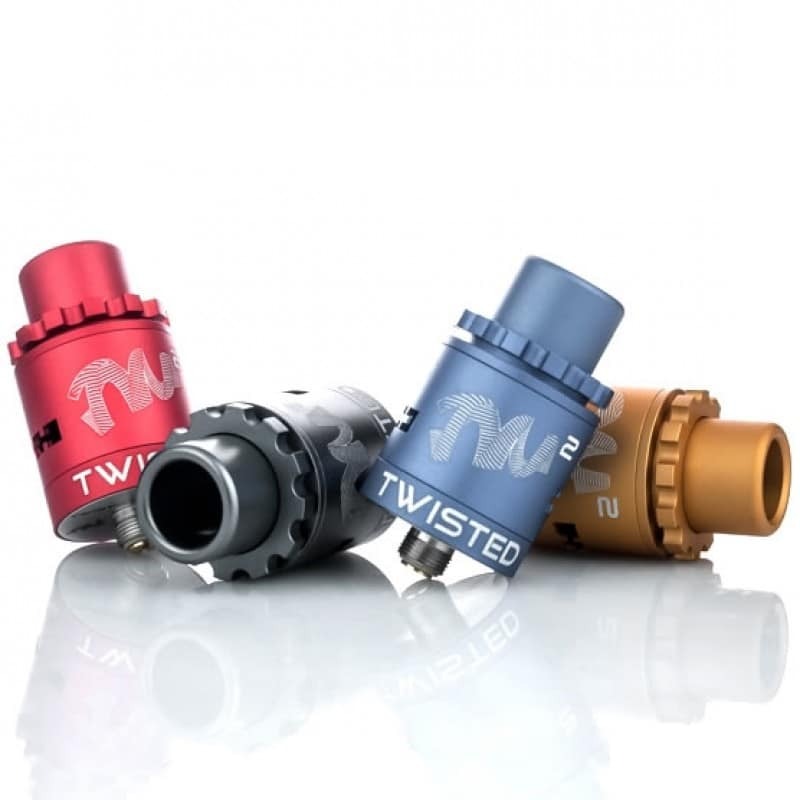 The split-post design allows for a dramatic increase in coil installation versatility. 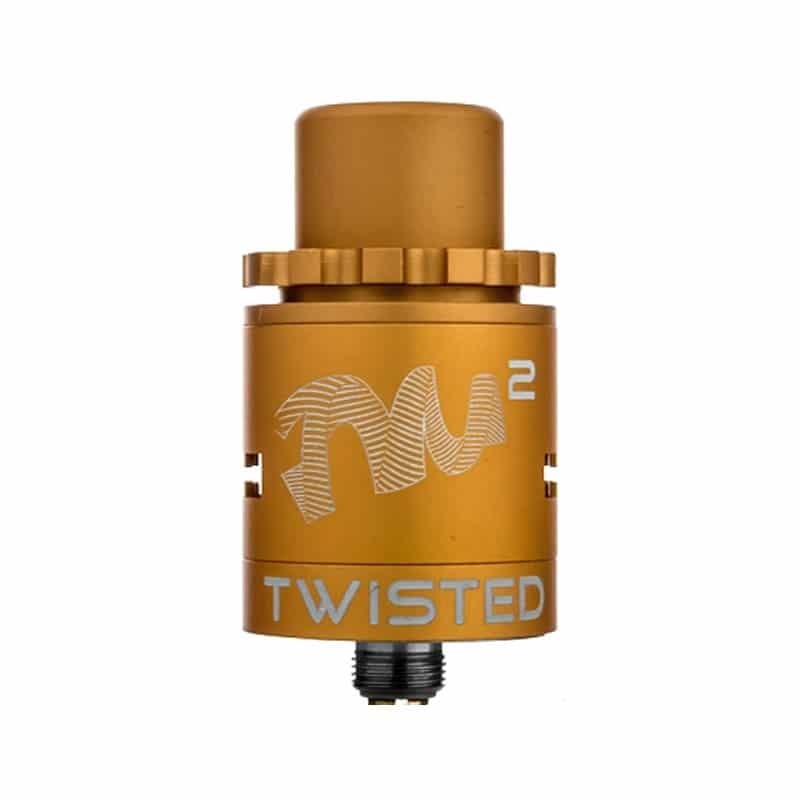 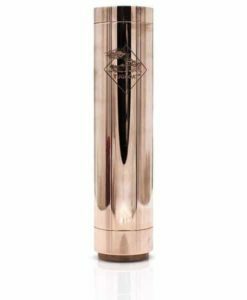 With this design, they somehow allowed a 5.5mm deep juice well on a 22mm RDA! 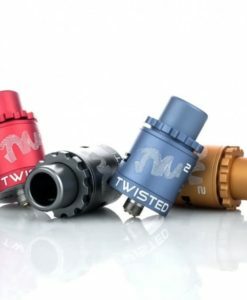 Thus, allowing space for massive builds! The Twisted Messes TM² Lite RDA is available in four distinct matt finishes: Blue, Grey, Gold, Red.